I was born Barbara Tarleton Astlett in 1953 in Middletown, Connecticut. 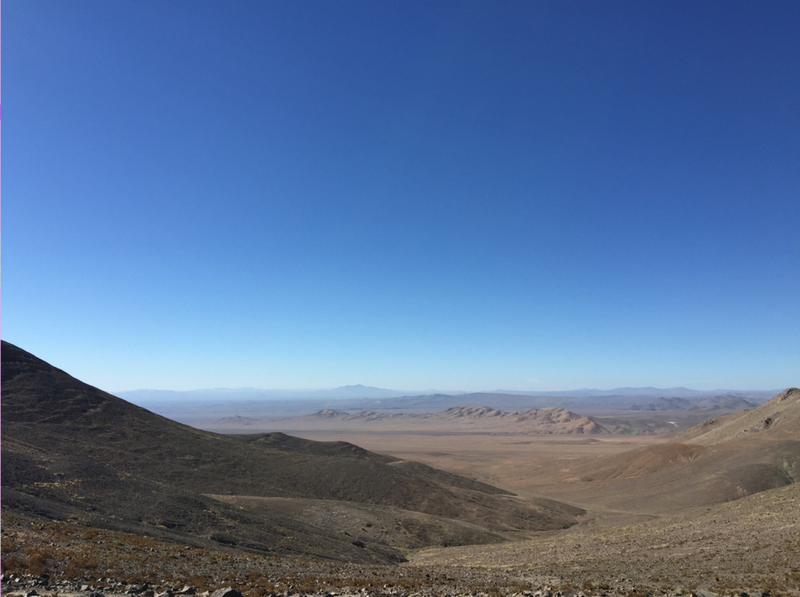 My father, whose graduate school teacher had an "intimate knowledge of the Gobi Desert" set out to gain an intimate knowledge of the Atacama, highest and driest desert in the world. In 1959 my family sailed from the New York Harbor to Chanaral, Chile and took a track car to the copper mining camp, El Salvador, which remains home to me in the most profound sense: sixty years later I still imagine the silence, the beauty, and the space that surrounded us in the Andes. At thirteen I left Chile for boarding school in Kent, Connecticut. My great-aunt, a sculptor, took me under her wing. Here, in her house on the banks of the Connecticut River, a friend nicknamed me Ippy because she had just learned the song The Girl From Ipanema and knew I had come from South America. For seven years I was married to the poet Michael Gizzi. As Ippy Gizzi, I wrote La Buena Fortuna, published by New Directions, and Letters To Pauline, published by Burning Deck Press. In 1975 Michael and I had a daughter we named Pilar. I graduated from Brown University (with a BA in Creative Writing) carrying her in my arms. (From 1971 -- 1973 I had attended Rhode Island School of Design.) Out of college I got my first drawing job: black and white drawings of plants for a fledgling magazine. Drawing the paddle like leaves of a jade plant flooded me with emotion. Was I part plant? I got no money -- the magazine went bust -- but I felt grateful for the lesson I carried forward, drawing from life; it became my personal doorway to a state of bliss, a ticket to leave the past and future behind and enter the radiant present. In 1979 I married science publisher Neil Patterson (he calls me Nema) and began doing drawings for books and newspapers: The Hartford Courant, The New York Times, Scientific American Books. After being married for nine years Neil and I had a son we named Grear and that same year we moved to North Carolina and have been here ever since. Of our various interesting communities --- Providence, Rhode Island, Redding, Connecticut and San Francisco --- our village of artists and writers and scientists here in Hillsborough is the dearest to our hearts. Collaborations have given me wonderful experiences, spending time with Ray Eames and Phil and Phyllis Morrison during the development of the Scientific American Library book, Powers of Ten; 12 months of opening 2nd day UPS boxes of aromatic plants from Logee's Greenhouse while illustrating Tovah Martin's Essence of Paradise; trekking outdoors with Sara Stein, cocktails in hand, in search of purslane and tulip poplar flowers for My Weeds; exploring the imaginary with Jeffery Beam for The Elizabethan Bestiary Retold; doing two hundred drawings of Nancy Goodwin's garden for Montrose, Life in a Garden, where a Saturday perk was a BLT sandwich in a room walled with Bloomsbury paintings. Most recently, I had the pleasure of accompanying Tony Avent riding a golf cart along the paths of Plant Delights, collecting material for a monthly column in Walter Magazine. At the moment, I am collaborating with myself, writing the text for a book of thirty or so drawings I have made about my childhood. As a child in the mining camp, turning the pages of books my mother had read when she was a little girl, I loved the pace of text and pictures, the anticipation and revelation; it has shaped the way I see the world, making me think this is what I want to do when I grow up.